You do not have to keep looking any more. Today PDF Touch has been released. 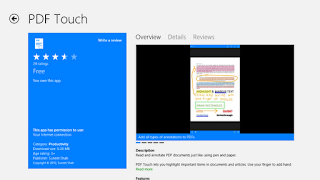 The application allows you to highlight, draw with your finger or stylus, and save your changes in a PDF. And the best thing, it's free! Surface does not have 3G and...?